Time to relax a bit at the local GUARDIANS station and pick up a new mission. Maybe you can strike up a conversation with this bunny-eared Cast, too. The counter girls really remind me of Phantasy Star Online for some reason. 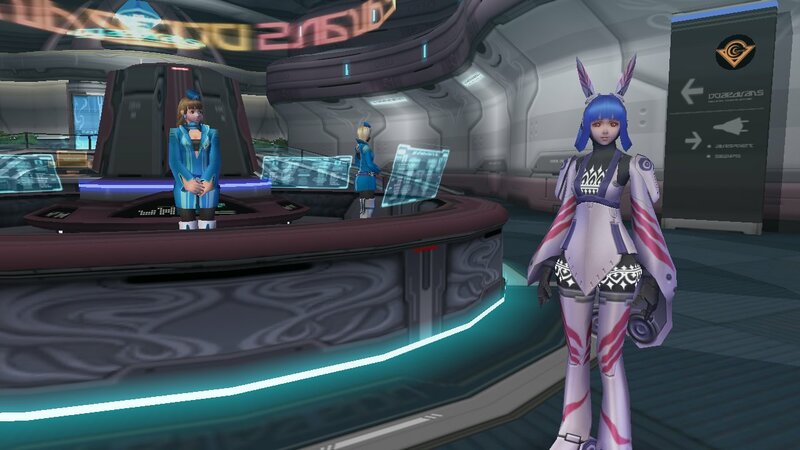 I guess it might be that their job is so similar to the gal in the Hunter's Guild in PSO.